One Community Health's commitment to outreach and education goes back to our roots. Committed to social justice, we've always believed in caring for anyone in our community. It's part of our mission to build connections with people where they are, in their lives, at that moment—and then inspire them to make positive choices and changes to support their health and wellness. 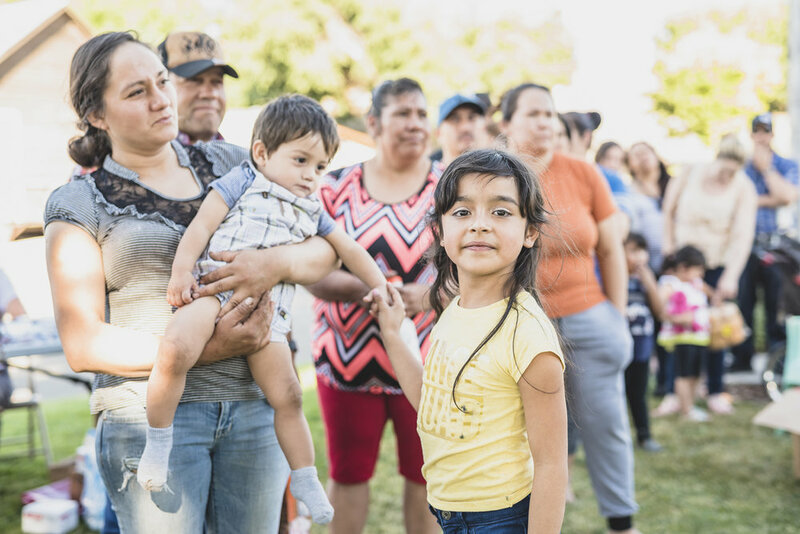 For over three decades, we have been providing critical health and nutrition education as well as important medical screenings to migrant farmworkers and families at our health centers and in orchards during harvest time. Aside from migrant farmworker outreach, we offer a number of programs in the community and at our health center locations. Since 1988, One Community Health (OCH) has been recognized nationally for its innovative health promotion programs. We don't just do migrant farmworker outreach but a whole host of programs offered throughout the community and at our health center locations. Today, these programs are run by our Enabling Services Team. This team includes certified community health workers, community health workers training for certification, registered nurses and a team leader who oversees this program. Together, these team members strive to help patients, families and communities at large get the health care and education they need. These staff members are also bilingual (Spanish/English) and bi-cultural, which helps to bridge cultural and language gaps between contemporary medical/nursing care and the lives of low-income, often uninsured patients. Expectant mothers receiving care at OCH are eligible to participate in our perinatal program, which provides prenatal and postpartum care, support and education. A certified community health worker in this program will develop a close relationship with an expectant mother. The community health worker educates the mother on the importance of regular prenatal checkups, arranges for lab work, assists the doctor with routine OB appointments, and can visit the new mother in the hospital and at home to make sure she is recovering from childbirth and to offer infant care and breastfeeding support. Our Salud program (available in Hood River and The Dalles) provides education and support to patients living with chronic illnesses such as diabetes, hypertension and obesity. Salud community health workers are part of the medical care team, making sure patients receive the specialized education needed to manage chronic illness. Among other things, we offer support in regard to proper nutrition, exercise and stress management. We may also refer patients to resources when appropriate. Unlike the Salud program, which is open to OCH patients only, the Pasos program is available to anyone in the community who wants to learn the long-term lifestyle changes necessary for chronic disease prevention and management. Our certified community health workers in this program conduct wellness courses which focus on nutrition, exercise, and stress management for overall wellness and weight control. Classes run for 12 weeks and encourage high levels of individual and class participation. As of fall 2017, we've added a new "family program," which is a 12-week Pasos class that features much of the same education but with a focus on childhood obesity. Witness the success of Pasos in our STEPS TO WELLNESS VIDEO! Our certified Community Health Workers organize seasonal cherry and pear harvest camp visits in Wasco, Hood River and Klickitat counties. Camp visit activities include food distributions, information about community resources, weight management education, diabetes prevention education, and diabetes and hypertension screenings. Farmworkers can be referred to OCH if more specific care is needed. At the typical camp, we see approximately 50 people—but sometimes more. Words cannot describe the joy we feel when we our outreach efforts positively influence lives. It's not uncommon for the same migrant farmworkers to return to our region to pick fruit every summer. When they make their way to visit us and share how their health has improved thanks to care and services, it's powerful. Their testimony shows us why providing outreach matters. And it proves these programs work. 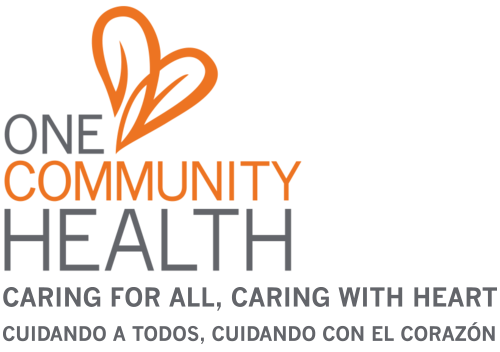 One Community Health is on the go! As part of our commitment to advance health and social justice for all, we're always out and about the region, engaging with families and individuals to share education that empowers better health, wellness and happiness. From the Hood River's Easter Egg Hunt & Safety Fair in the spring to region-wide Gorge Happiness events in the fall, expect to see us year round, growing awareness around topics that matter and help sustain vibrant communities. Visit our booths to learn all about eating right, staying in shape, and growing your happiness factor. Want more resources for your body, mind or spirit? Just ask! Our Community Health Workers will be happy to give you more information or connect you with those who can. When children go for their well-child checkups, they and their parents don’t necessarily expect to learn about reading. But thanks the Reach Out and Read (ROR) Program, that’s a part of what happens at One Community Health. The ROR Program is a national early literacy promotion program, targeting children from infancy through kindergarten age. It builds on the relationship between our primary care providers and families, engaging them in the value of reading, building interpersonal connection, and developing fine motor and communication skills. At each well-child checkup, families are given an age-appropriate book for their child, along with a simple, important message: “Read aloud every day!” Oregon ranks 37th among 50 states for 4th grade reading standards, so this program raises awareness about the value of literacy and helps children overcome barriers associated with reading. When a compassionate, smiling provider says, “Read aloud every day,” kids and their parents tend to listen. One Community Health provides hundreds of books annually to patients, thanks to funding from the ROR Oregon Coalition. Hundreds of studies now show that “happiness” is good for your health. We also know that 40 percent of our happiness can be helped through simple habits. Recognizing the power of this and wishing to make a unique, positive and lasting impact on the community, One Community Health launched Gorge Happiness Month in fall 2016. That particular year, Gorge Happiness Month served as a way to celebrate our 30th anniversary of care throughout the region. It was so successful that it’s now an official One Community Health program that takes place annually every October. Thousands of people participate personally, practicing the three daily habits during October and often well beyond what’s become a hallmark month for happiness. In addition, over 100 businesses and organizations throughout the Gorge have jumped in to make Gorge Happiness Month great by hosting events, listing gratitudes at the start of meetings, spreading their own acts of kindness throughout the community, and doing much, much more. A number of handy and helpful technology-based tools (social media, email blasts, downloadable app, etc.) reinforce the program, making it easier and more motivating for many people to do. Want to learn more about Gorge Happiness Month? Visit our official webpage dedicated to this inspiring, impactful program. Check our news page for reports about recent activities of Gorge Happiness Month. VeggieRx is a unique voucher program in which our patients are able take screenings around food security and, if they qualify, receive coupons for fresh fruit and vegetables. They can redeem these coupons at our local farmers' markets in the summer and, come wintertime, use the vouchers at most grocery stores throughout the region. 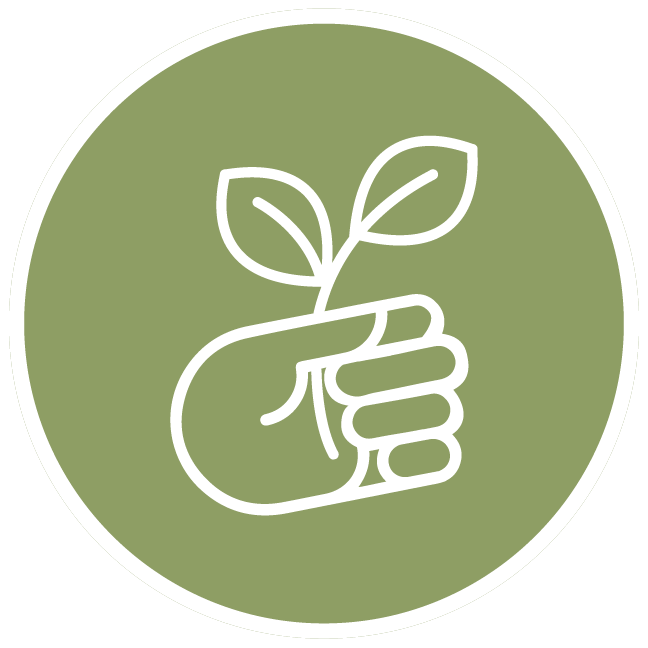 This is a partnership program with Gorge Grown, PacificSource, local groceries and farmers' markets. This proven program is based on USDA data that shows that health outcomes improve when you have access to fresh fruit and vegetables. Many of our patients are surprised when they come in to visit One Community Health for a medical, dental or behavioral health reason and leave with a prescription for veggies, too! Food is medicine—or at least one kind of medicine. And we believe in educating our patients about the connection between the right food and greater health.